Guest Blog Posts and Ping-Backs! I have just started to listen to a new audiobook called ‘ Start Something that Matters’ by 34 year old entrepreneur Blake Mycoskie. 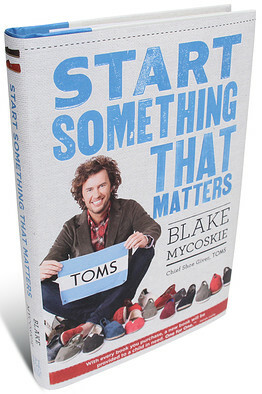 In 2006, Blake founded TOMS – a company that would match every pair purchased with a new pair given to a child in need, an idea that was sparked on his holiday to Argentina the previous year. The company grew rapidly and in September 2010, Blake returned to Argentina, where he was first inspired to start TOMS, to celebrate the one-millionth pair of new shoes given to a child in need. His story is inspirational and it has certainly encouraged me to aim for higher ideals and to stay focused in the midst of adversity – as I have had a challenging couple of weeks – because if you have the passion, the dedication and are able to persevere you can create something that will fulfill your dreams and change the life of another person in an indelible way. Many successful people in the beauty industry have persevered through trying times to become incredible successful. 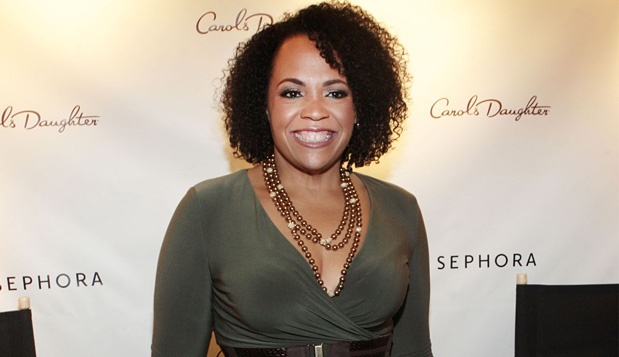 One of my business icons is Lisa Price, the founder and President of Carol’s Daughter. Bankrupt at the age of 30, Lisa Price has gone on to create the fragrance and skin care empire Carol’s Daughter, which she started in 1994 and the Huffington Post suggested that the brand turned over $50 million last year, but she had to overcome many challenges to get to where she is today. After her first marriage fell apart, she left the religiously conservative environment she found herself in and pursued a singing career with the vocal group Fedora. Expenses accumulated, and, after some shady dealings by her manager, Price found herself saddled with tens of thousands in debt before the age of 30. She eventually filed for bankruptcy and began the long process of recovery. Price’s work in cosmetics began as a hobby which she maintained by selling her creations on the side while working a number of other jobs, including a stint as a writer’s assistant. but with growing demand for Carol’s Daughter products, Price decided to devote her time to her business full time. The road ahead wasn’t easy, with her options for loans restricted by her financial history, but she opened her first store in 1999. In 2002 she received a call from the Oprah Winfrey show…. I also recently read a tweet posted by the Hairdressers Journal with a link to an interview with celebrity stylist, Junior Green – documenting his win at last years British Hairdresser of the Year awards. You can read the interview here. He was awarded the prestigious title of Afro Stylist of the Year (all images are from the winning collection). Green had finally won the accolade after entering the category 11 times! Thank you Junior for demonstrating that one should NEVER give up one’s dream despite the setbacks, trials or challenges. There is something that I adore just as much as my beloved beauty industry and that is reading! I love disappearing into the pages (or sometimes the auditory world) of a tantalising, engrossing book! I am a bit of a geek to be honest (albeit a very glamorous one, if I say so myself!! ), and I think you can see form the nature of my blog posts that I like to thoroughly investigate my themes and offer an informative view on the world of beauty. As a beauty insider, I am not only passionate about the amazing products that are launched, but also about the business of beauty itself – I am enthralled by the innovation and creativity that is exhibited and I also love watching videos such as this too (I told you I was a geek)!! As I mentioned in a previous post the global beauty industry is worth billions of (US) dollars and here in the UK, a recent market research report produced by Euromoniter, stated that the beauty industry was the most resilient (non-food) sector within retail during the tumultuous years following the economic implosion of 2008 . As a nation, looking good is very, very important to us! So how excited was I when I saw this book featured in an issue Stylist Magazine late last year…. ….. a book combining both of my passions – beauty and the business of beauty! The book is authored by Mark Tungate, a British journalist who currently resides in Paris. His credentials include authoring several books on fashion and luxury marketing , writing for broadsheet newspapers such as The Times and the The Independent and he also teaches courses on branding and advertising at the Parsons Paris School Art and Design. 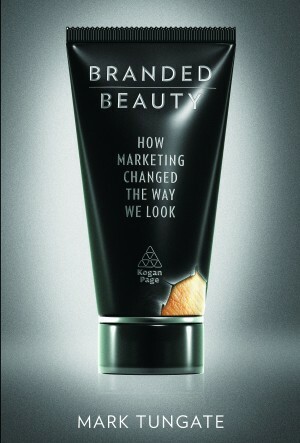 In “Branded Beauty” Tungate delves into the history and evolution of the beauty business. From luxury boutiques in Paris to tattoo parlours in Brooklyn, he talks to the people who’ve made skin their trade. He analyses the marketing strategies used by those who create and sell beauty products. He visits the labs where researchers seek the key to eternal youth. He compares attitudes to beauty around the world and examines the rise of organic beauty products. As it was published in 2011, it is bang up to date – and covers the changing marketing communication channels – with the rise of social media and the increasing influence the beauty blogger posses – and the effect this is having on the industry. The book is written in a pithy style, that is very accessible and not loaded with technical jargon. I really enjoyed charting the journey of the development of the beauty industry and was fascinated by the fact that many of the strategies that were devised all those years ago (such as ‘Gift with Purchase’ ) are still the mainstay of the industry today. Tungate’s investigation is candid and balanced and he does not aim to sugar coat aspects of the industry that can be somewhat disconcerting. I very much appreciated this, as I am a big believer in giving people the information for them to make an informed decision about how they feel about a subject or topic. He covers darker issues that surround the industry such the airbrushing of advertising, the impact of the ‘ anti aging’ phenomenon and the spectacular rise of cosmetic surgery- and the reasons why this is the case – however unlike other books about the industry, it does not focus solely on these ‘perils’ and does not damn the whole industry as a sardonic, money making, evil. The book does have a very European/Caucasian bias though – only 8 of the 277 pages in the book talks about the diversity of the global beauty industry and only 2 pages specifically mentions the beauty of Black women. How did the beauty industry develop outside of Europe and North America? What was happening in Asia Pacific, Australia and indeed Africa? 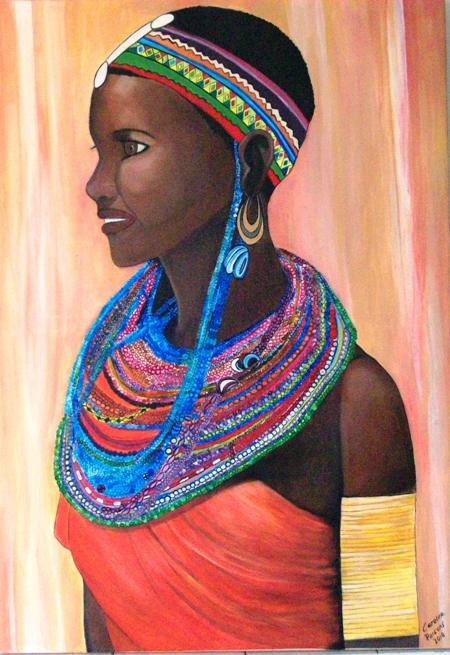 As Tungate states in his book that only 3% of the people on the earth can be classified as Caucasian, it would have been interesting to have discover more about these women and the entrepreneurs that has served them. Despite this, I really enjoyed the book and would recommend it to beauty enthusiasts, marketing students and professionals and aspiring business leaders alike! Buy ‘Branded Beauty’ on Amazon or Waterstones (saving up to £3.80 on the cover price)! Guest Post! Where the Beautiful Black Women of Paris Shop!